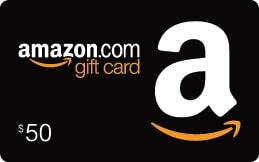 To make up for any undelivered savings via coupon codes and promotions available on YourBestDeals.com, we offer a Monthly $50 Amazon Gift Card Giveaway Contest. All you have to do is enter your name, email address (this is where the winner will receive their digital amazon gift card) and a number from 0 to 999. We’ve already picked the number for April and the participant with the closest guess will receive the gift card in their email on the first day of May. If there are any ties, the participant who submitted their info first will win. The contest closes on the last day and renews on the first day of every month. All winners will be announced at the bottom of this page with their name and their favorite quote.